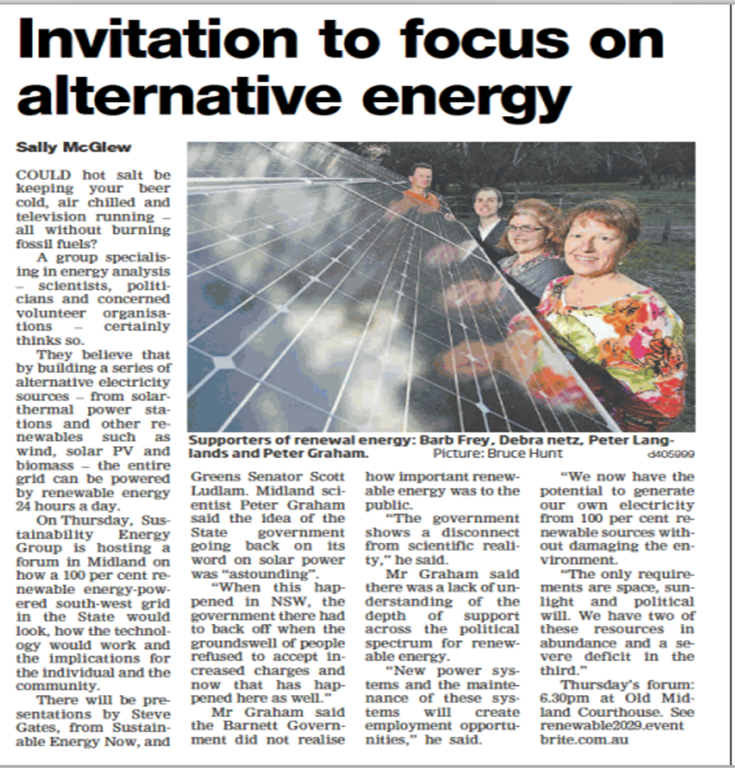 Is 100% renewable energy in Perth possible? If so, what would it look like? Come join Transition Town Guildford and the Hills Sustainability Group as we host an eastern suburbs forum on the Energy 2029 plan. 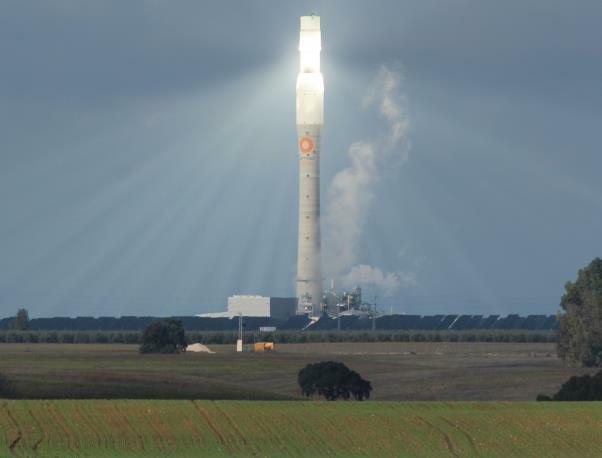 Hear from Sustainable Energy Now (SEN) and Senator Scott Ludlam on how we can transition to 100% stationary energy by 2029. Prior to the March State Election SEN was commissioned by the WA Greens to provide a brief of scenarios which would demonstrate the potential for WAʼs South West Integrated System electricity grid demand to be fully met by a combination of renewable energy generation, efficiency, storage and demand-side management within the SWIS grid, by 2029. 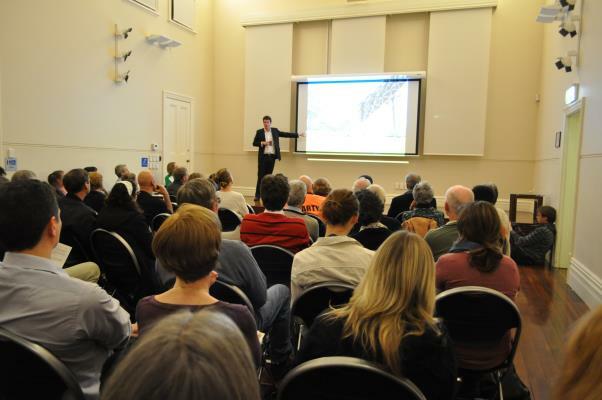 Presentations by Senator Scott Ludlam, SEN secretary Steve Gates, followed by Q & A. Time: 6:30 pm for a 7 pm start. Finish 8 pm. Tea, coffee and supper will be provided.